When modern tablet computers first arrived to market, many people thought they would be primarily used to consume, rather than create, content. And who could argue? Without a keyboard or mouse, and only a stubby finger to flick, creation seemed like it would be troublesome at best. My, how things change. My Apple iPad has quickly become an indispensable tool for work. For the last two years I’ve worked from an iPad on a daily basis. I often tout it as my favorite computer even when I’m asked to compare it to my iMac, a full-fledged desktop, or MacBook Air, a featherweight laptop. The iPad’s portability, day-long battery life, and built-in cellular connection—not to mention the broad selection of apps—only help. As the winter holiday season approaches each year, I find myself more excited for Apple’s iPad event than I am for its iPhone event, which typically precedes it. This year was no different: right on schedule in October, Apple introduced an updated iPad lineup. The improved iPad line comes at a time when Apple has seen a decline in that product’s sales for three consecutive quarters. The decline itself coincides with a trend in which smartphones, including Apple’s own iPhone, are growing in size. The shift blurs the line between phone and tablet, and prompts the question: where should the iPad fit in our lives? The new iPad Air 2 (the most notable model of the new crop) offers a display with improved color and contrast, a slimmer profile, and Apple’s fingerprint scanning technology. It also has a faster processor and more storage. I spent two weeks testing the iPad Air 2, and at the end of my time with the device, I found myself equally impressed and disappointed. The tablet is impressively responsive and smooth when it comes to scrolling through documents or web pages and launching applications. Yet when I set aside the physical keyboard that I used with the device and attempted to use it strictly as a mobile device, I often felt as if the iPad was nothing more than an extra screen offering bigger pictures and larger text than my phone. Instead of picking up my iPad to read an article or watch a video on YouTube, I would find myself remaining with the iPhone, the experience just as pleasant. Anecdotally, friends have told me similar scenarios: since upgrading to the iPhone 6 Plus, their iPad sits on a shelf, collecting dust. The similarities are underscored by the fact that the latest version of iOS, Apple’s mobile operating system, is exceedingly similar between the iPad, iPad mini and iPhone 6 Plus. For example, there is now enough room on the iPhone for two column-views in landscape mode, something only the larger iPad previously enjoyed. But that’s alright. If the tablet is the new laptop, the blurred line between it and the phone matters less, and there may be room for growth at the other end—certainly from a productivity standpoint. I would love to see Apple release a physical keyboard built specifically for the iPad and with software support for custom interactions and auto-correct. I would love the ability to run two apps in a split-screen arrangement, for example. And going out on limb that’s sure to fall, I’d love to see Apple bring more information to the home screen using widgets. Yes, widgets. 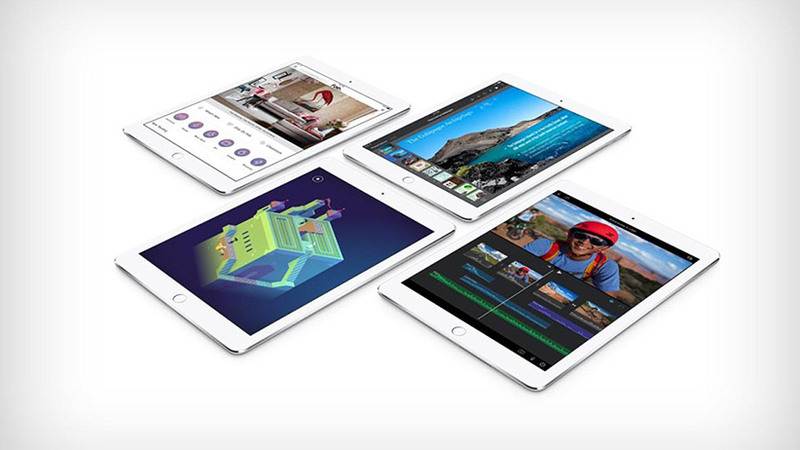 Despite these shortcomings, I developed an appreciation for the iPad Air 2. I found the addition of the tablet’s fingerprint sensor for secure access convenient (it works with the handy password manager 1Password) and a productivity boost. The recently released Pixelmator for iPad, an image editor, combined with the new model’s improved graphics performance has helped reaffirm it as a PC replacement for me. But let’s be honest: My use case is far from the norm. I’ve spent countless hours and dollars researching apps and accessories in order to make the iPad work for me. I have forced the iPad to fit into my life. The average person is less likely to invest that kind of time. For those people, that burden lies at Apple’s feet.